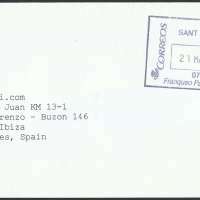 A philatelic cover was made and posted at post office in San Jordi by paying the amount required and have it hand stamped. National postage is €0.37 since 1 January 2013. 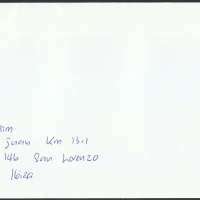 On the reverse side, I have to write the address of sender because the clerk insisted that a letter without a return address cannot be processed. 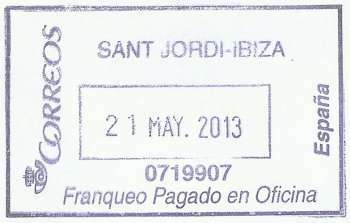 The letter was delivered the next day, 22 May 2013.